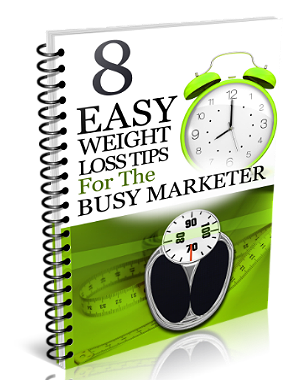 Discover 8 Easy Weight Loss Tips For The Busy Marketer. It is extremely common to gain weight when you devote all your time to work at the expense of everything else. Anyone who has tried to build a business online will realize just how time consuming it is. There’s so much to learn and so much to do. The only way to ever get work done will be to spend almost all your time building your business.